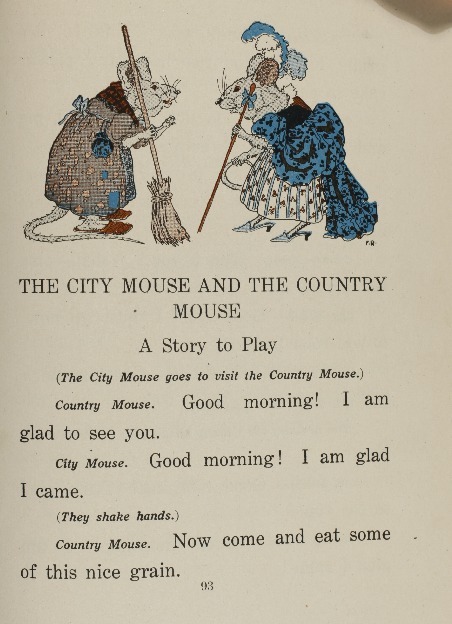 Many of these readers are not available in their entirety online and were digitized from Creighton's Carlson Fable Collection. Rather than create separate pages for each reader, as I have for most other works in my special exhibits, I have placed them below in a gallery, with some notes on the really interesting ones. 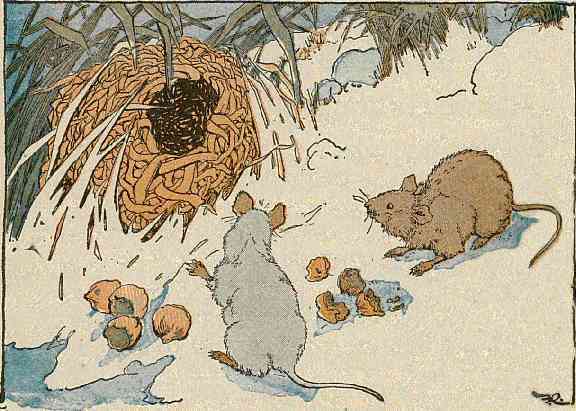 The Treadwell version here attributes the story to a "Norse Folk Tale." Indeed, it seems to borrow heavily from Asbjørnsen's versions of the fable which are found in (12) and (16). 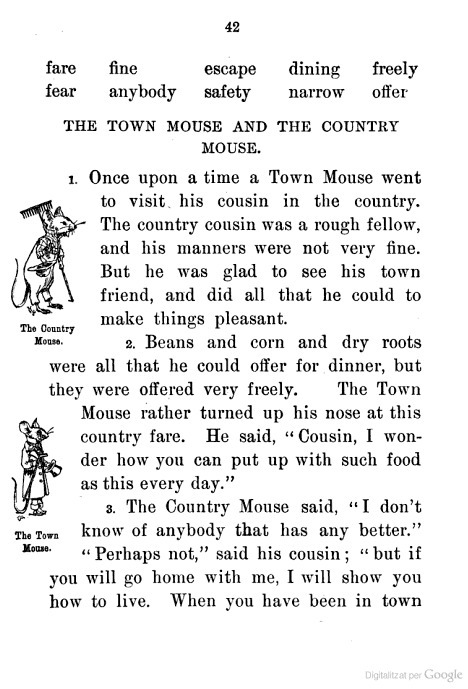 The similarity is especially interesting because the reader omits story elements that are somewhat inappropriate for a children's reader (The cat almost killing the mice, the mice getting drunk, ect). 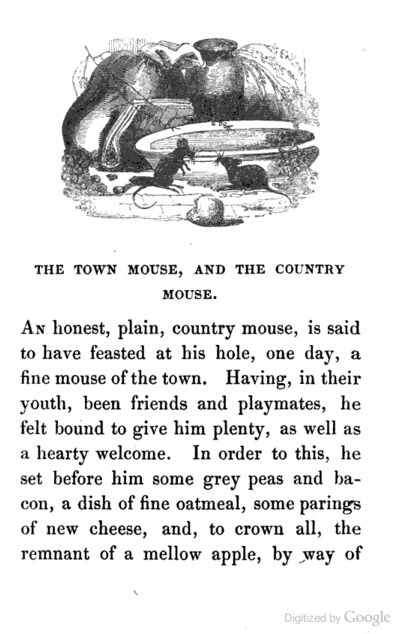 The Winston Reader version here presents the fable as a play which can be performed by children. Baldwin's version here comes complete with vocabulary words. as do all other fables in the same book. The words called out for special attention in this Third Year reader are: "fare," "fine," "escape," "dining," "freely," "fear," "anybody," "safety," "narrow," and "offer." Brady's version here is one of the more interesting items in the collection from a textual analysis perspective. This is a version of the fable that closely resembles Croxall's (41) and therefore many others, but the words are carefully chosen such that all are two syllables or less.